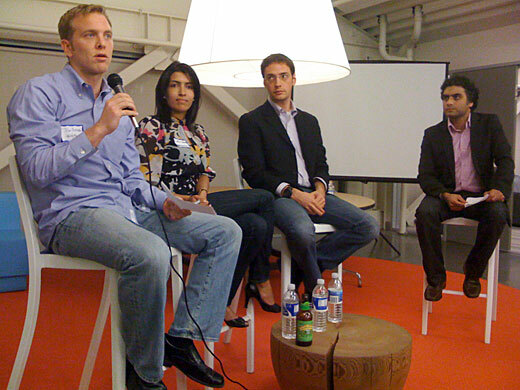 From left, Jon Bischke of eduFire, Leila Chirayath Janah of SamaSource, Jacob Colker of The Extraordinaries and Robert Chatwani, Head of Global Citizenship, eBay. Last night was another one of those eye-popping events where large numbers of people turn out for an event to discuss how new technologies can be used to advance social change. In this case, about 120 people turned out for Crowdsourcing for social good, sponsored by SocialEarth, and Hub Bay Area and hosted by Chronicle Books and organized by Sundeep Ahuja. • Jon Bischke, founder of eduFire, talked about his start-up — an open education platform that is pioneering live video education. On the year-old site, more than 5,000 people have signed up to become instructors and 30,000 people take lessons in a wide array of subjects. 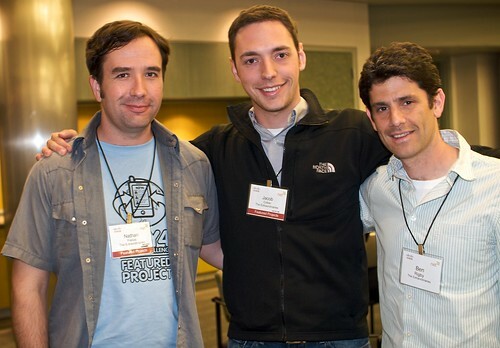 Based in San Francisco, eduFire has three full-time employees and several part-timers. (Become a fan on Facebook.) See an earlier video interview of Jon produced by DogandPony.com.